A league bundle product is how you group two or more leagues that a member might purchase at the same time and optionally provide discounts or an "all-you-can-eat" type of fee structure. Click the "New Product" button near the bottom of the screen on the left hand side. This will take you to the product form where you can start assembling your league bundle. In the first dropdown at the top, make sure that "League Bundle" is selected. Name (required): Give your league bundle a descriptive name. Some example names are: “Adult Membership”, “Junior Leagues”, “Club Run Leagues”, “Unlimited Membership”, etc. Price: This is the base price for your bundle. Usually you will set this to $0 unless you are offering unlimited leagues for one fixed price (like a buffet). You can price each of the participating leagues separately later which are just added to this *base price*. Multiple League Discount: If you want to discount the price of each league beyond the first, you can enter a discount here. So if each league individually cost $200, but you want to have a 10% discount applied to the second league to make it $180 when they join two leagues, this is how you would do it. Keep in mind that the most expensive league your members select won’t be discounted, so if one league is $100 and the other is $200, then the discount will always be applied to the $100 (cheaper) league and never to the $200 (more expensive) league. Purchasable? checkbox: This determines whether or not this product can be purchased and if it even shows up in our widgets and listing views. Use this if you no longer want, or maybe aren’t yet ready, for a league bundle to be purchased. Accept Cash / Cheque? checkbox: If you want to accept offline forms of payments, like cash, cheque, even e-transfers then check this box. You will be able to mark purchases as paid in this system later on when the member hands you a cheque. Taxable? Checkbox: Determines whether or not to add the default taxes that have been setup for your club. Unchecking this means that no tax will be added. Include Membership Fee? checkbox: Determines whether or not to include the membership fee that’s been setup for your club (if any). Membership fees are charged only once per curler, per season. Include Affiliate Fees? 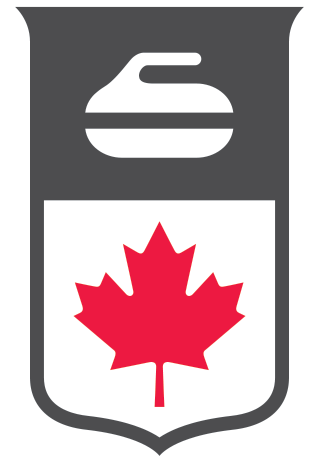 checkbox: Determines whether or not to include the Curling Canada and your membership association fees. For example, learn to curl type leagues may be exempt from affiliate fees. Affiliate fees are charged only once per curler, per season. Include Improvement Fee? checkbox: Determines whether or not to include the improvement fee that’s been setup for your club (if any). Improvement fees are charged only once per curler, per season. Has lineups? checkbox: Determines whether or not you want to ask them for their team lineup. For learn to curl and beginner leagues where your curlers don’t have pre-existing teams, you should uncheck this option. Quantity: This is your inventory. If you want to limit the number of registrations for this league bundle, enter that number here. Leaving this blank means unlimited inventory. Registration Cutoff: When should registration close. Leaving this blank means it never closes. Description: If you have special instructions for your members during registration you can enter them here. Once you’ve filled in all of the core information for the league bundle you’ll want to start assigning some leagues to it. Title: This is the name of your league. Short Name: This can be the same as your title as long as it’s not too long. Otherwise, just pick a shorter title that still contains all of the important information you want to convey. Sometimes we won’t have enough room to display the full title and will fallback onto this short title instead. Starts On: When does the league begin? Please specify a date using the format YYYY-MM-DD. Ends On: When is the league over? Please specify a date using the format YYYY-MM-DD. Number of Sheets? : Specify here how many sheets will be used by this league. Gender Restriction: Used to restrict registrations in the case where it’s a men’s or women’s only event. Click "Save" once you've filled everything in. Repeat the above for each of the leagues that you want to include in this bundle. Once you have all of your leagues created and assigned, you need to give them each a price. Keep in mind that these prices are in addition to any base price you may have entered earlier, and may also participate in your multiple league discount, if you entered one. Reorder how these leagues appear in the bundle by clicking the up and down arrows on the left. Remove a league by clicking the red garbage bin next to it on the right hand side. If you assign the wrong league by accident, click the "Change" link to assign or create a different one. You can create addons like a locker rental that your members may select during registration. You can even have mandatory (required) addons that can’t be deselected by your members during registration. You need to assign a price to each add-on. You can even have a negative price, which would represent a discount that a member could select, in which case the price would be subtracted from their total. For example "New Member Discount -25". You can also reorder and remove add-ons the same way you do for the leagues above. After entering your add-ons and checking over all of the information, click "Save" to finish creating your League Bundle. You will want to preview the bundle you just created to see what a potential member sees during registration, and make any minor adjustments necessary. After saving your league bundle, you are returned to the product listing page where your new bundle now appears in the results. Click the "Preview" link next to your new bundle to open a purchasing view of it in a new browser tab. This is what your members will see when they register. When registering, members are first tasked with filling out their curler information. DID YOU KNOW? : Curling I/O will remember a curler's information for subsequent purchases, storing it under their account, and will automatically pre-fill form fields for convenience. Registrants are then asked to pick which leagues they are interested in, and fill out the lineups (if applicable). As leagues are selected, your multiple league discount will be applied if one was specified. If the leagues aren't the same price, then only the less expensive ones are discounted. If there are gender restrictions for any of these leagues, then depending on the gender of the curler, they might not be able to select some of them. The details of their potential purchase will update dynamically as they check off leagues and add-ons. Taxes and seasonal fees are added automatically if they were enabled for the product. If the curler has already paid any of these seasonal fees this season, they will show that they have been paid and won't be required again. The curler is then asked to select their payment method. The credit card payment option also supports Visa and Mastercard co-branded debit cards (if there's a Visa or Mastercard logo on it). The curler is asked to agree to a waiver. The waiver that is presented will depending upon their date of birth and province. It will present either an under or over age of majority waiver. Functionality - Security of the system and protection of MA's and club's info from unauthorized users?